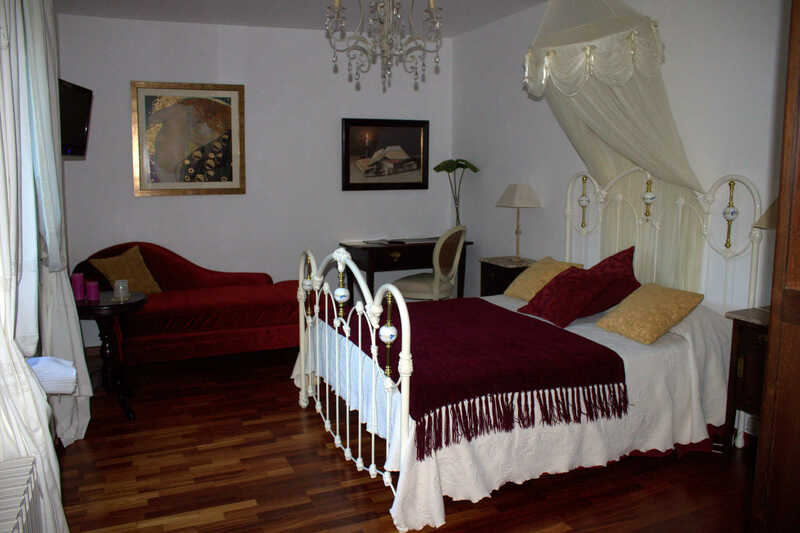 As Seis Chemineas is located 11km away from the city centre of Santiago de Compostela, the capital city of Galicia. 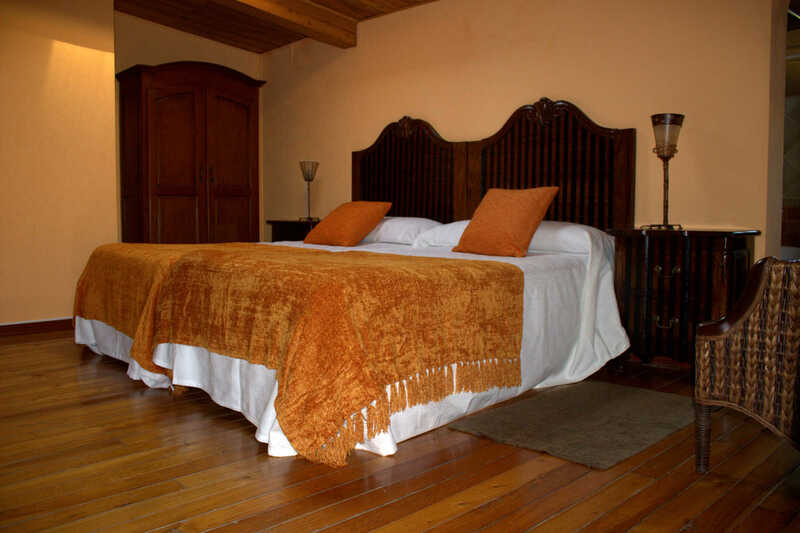 It is a traditional Galician cottage, surrounded by vineyards, with its own old Galician style granary (“hórreo”) and a stone fountain dating back from 1862. 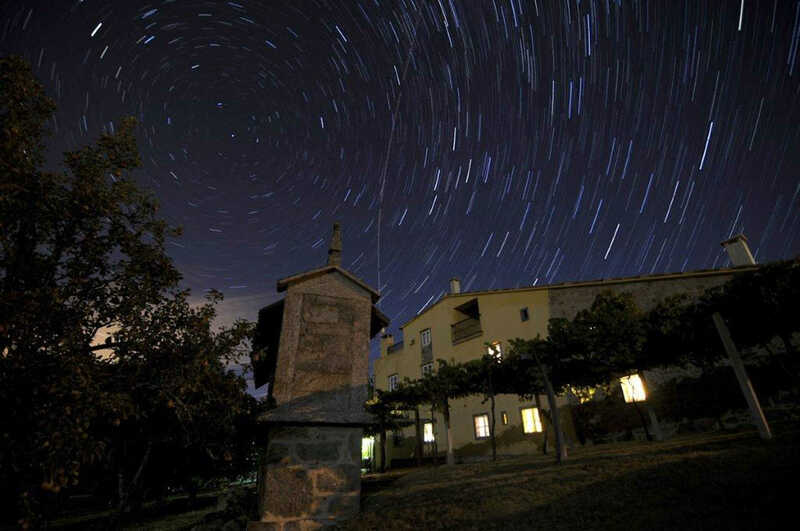 The name of Santiago de Compostela comes from the Latin “Campus Stellae” or Star´s field, after the star that indicated the location where the apostle Saint James was buried to Pelayo, the hermit. The cottage´s garden is still a nice place to admire the beauty of a sky full of stars. The house combines all the commodities derived from its proximity to the Capital of Galicia with the peace and tranquility of its rural setting. 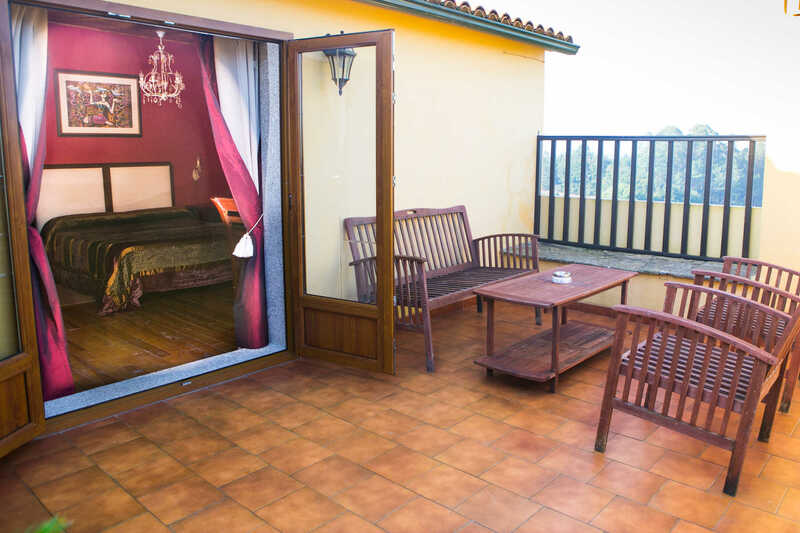 In this sense, As Seis Chemineas is ideal for those seeking a quiet rural house surrounded by nature, with native forests, natural waterfalls and several hiking trails (view). Other activities include sightseeing on one of the magnificent heritage sites of the City Council of Vedra. 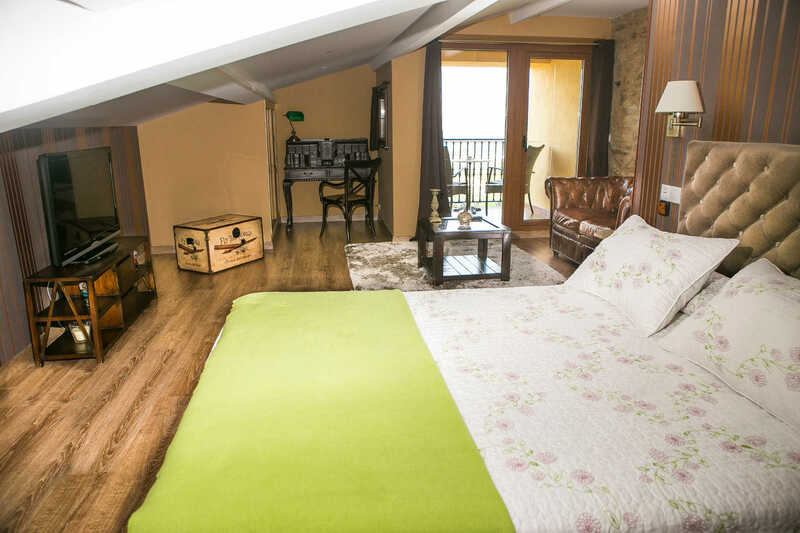 The house can also serve as a base camp for enjoying the culture, gastronomy and shows that Santiago offers and forexploring the region of Galicia. Santiago is indeed, a communication hub from which to discover Galicia´s coastline, beaches, rivers, mountains, as wel as its amazing artistic and architectural heritage. The house has four double rooms and one family room consisting of two double rooms. All rooms have TV and WI-FI. Moreover, there are several common areas such as a reading room, a living room with fireplace, a lounge with a traditional fireplace, a dining room, a patio surrounded by hydrangeas, several pergolas located across the garden and a swimming pool, all for common use. 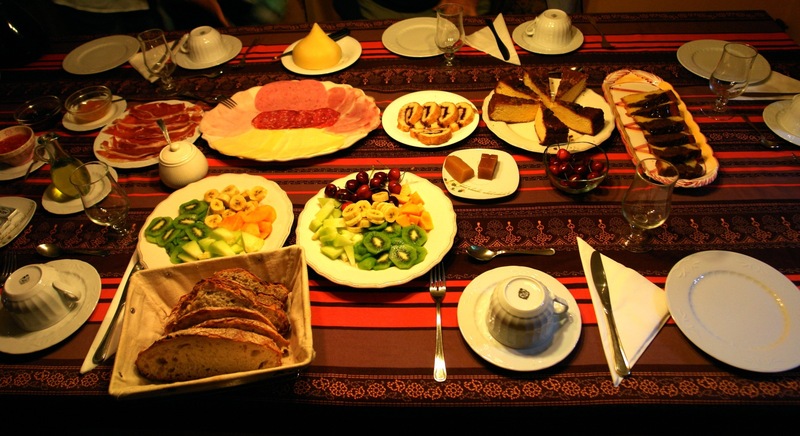 Guests can taste different kinds of morning delicacies, especially the delicious homemade cakes and pastries prepared daily by the landlady. Book your breakfast in advance!